Fr Peter McVerry, Sr Stan Kennedy and Bro Kevin Crowley nominated collectively for their efforts to tackle homeless crisis. Those shortlisted for this year’s Tipperary Peace Award include prominent Irish campaigners on homelessness, Fr Peter McVerry, Sr Stan Kennedy and Bro Kevin Crowley. The shortlist was published on New Year’s Day and the nun, priest and brother are nominated collectively as one group for their efforts to address Ireland’s homelessness crisis. 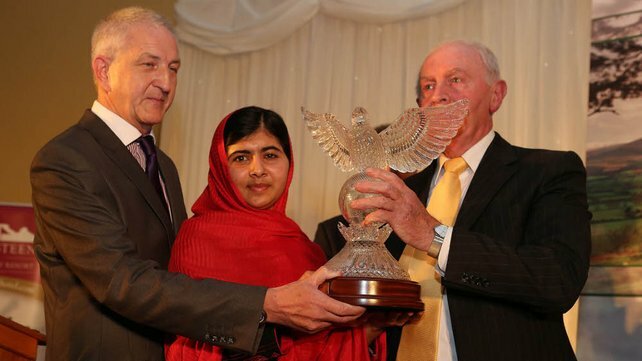 The peace prize has previously been awarded to people like Nelson Mandela, Mikhail Gorbachev and former president Dr Mary McAleese and her husband Martin McAleese. In 2012, Pakistani education activist Malala Yousafzai won the prize , which dates back to 1984 when it was awarded to Sean McBride. The Tipperary Peace Convention says the award is a way to focus on promoting values of peace and peaceful co-operation. Robert San Aung has been imprisoned six times in the past forty years for his activism in Burma and has experienced constant harassment and persecution for his efforts to promote democracy and human rights. Tomi Reichental has been based in Ireland since the 1960s and has travelled the country talking about his experience during World War II and the Holocaust. His book ‘I was a boy in Belsen’ recounts his time in Belsen concentration camp. Médecins Sans Frontiéres (Doctors Without Borders) was founded in 1971 to provide emergency medical care in countries with the most need. This year they have played a vital role in combating the spread of Ebola is West Africa.